As a desk chair, around a table, or in a living room the Dixon chair offers a comfortable seat in the palm of its wide back. 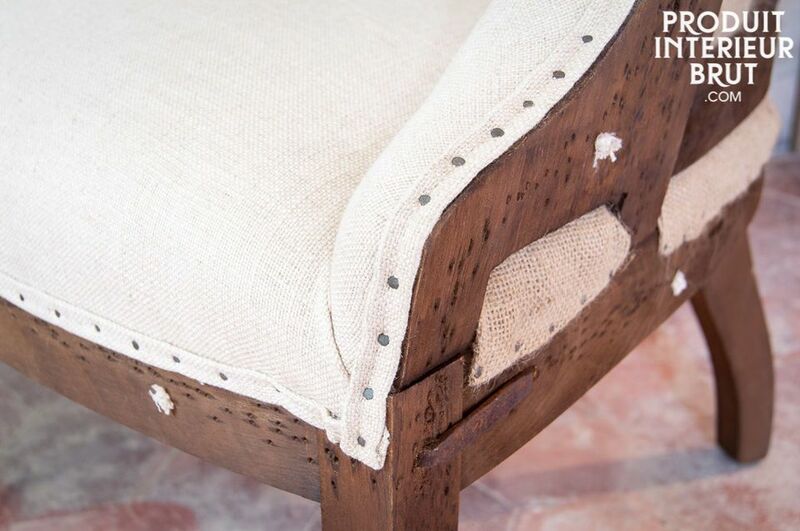 With a superb finish, a thick canvas cover made in linen and studded the old way. 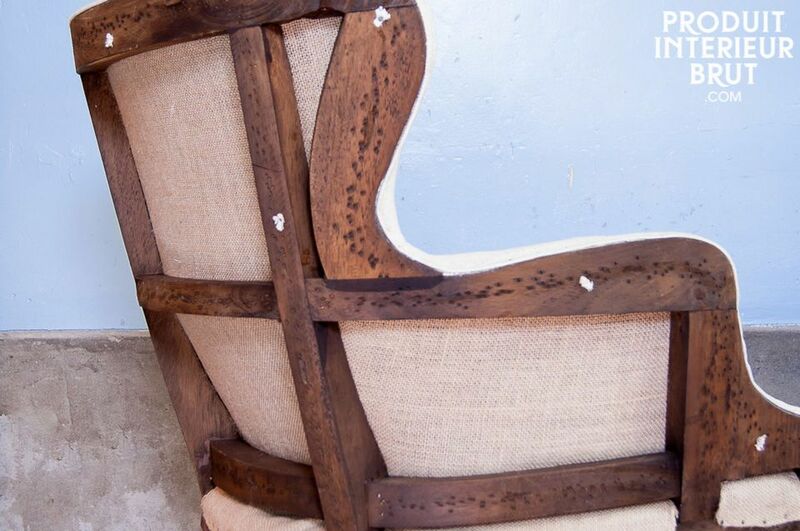 Its frame is made of solid wood lightly distressed, covered with a dark matt varnish that displays a beautiful contrast with the clear canvas linen. 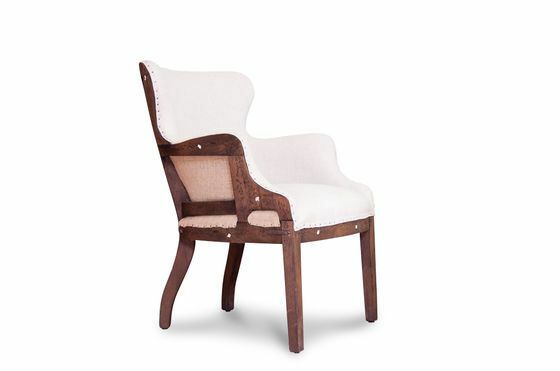 A retro wingchair perfectly padded at the seat and backrest. 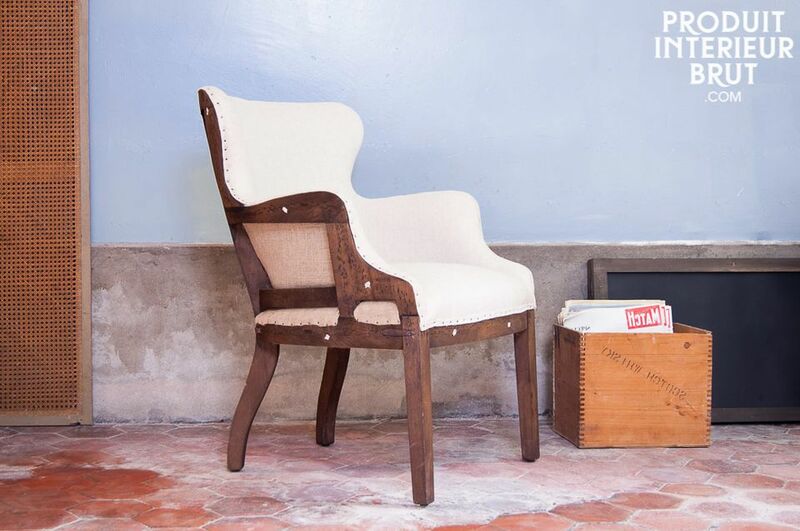 Full of character, it will bring a romantic bohemian spirit to your home. "Perfect, I needed help to move it, but it's quite normal. I'm very satisfied"